The Italian Regional State: A Counter-Reformation After the Failure of the 2001 Constitutional Reform? 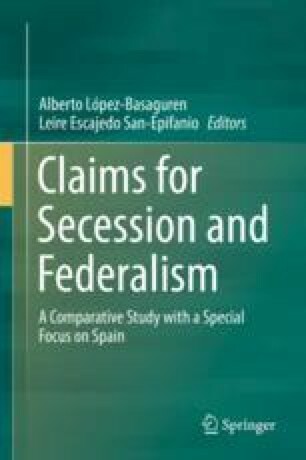 This paper concerns the constitutional reform proposed in 2014 by the Italian Government in order to transcend the model of “perfect bicameralism” characterising the national legal system, by transforming the Senate into a territorial Chamber, and to redesign territorial organization, namely the distribution of legislative competences between the central State and the Regions. The amendment, definitively approved by the Parliament in 2016, but finally rejected by a constitutional referendum in the same year, is analysed in order to point out the genuine intent pursued by the Government; to clarify its relationship with the previous reforms of the Regional State (namely, with the important constitutional reform of 2001) and its meaning in the present historical context; finally, to assess whether the new configuration of the Senate and the new vertical distribution of competences established by the rejected reform could effectively ensure achievement of its goals. The analysis leads to conclude that the amendment could be considered as a “counter-reformation” if compared to the 2001 reform (whose objective was to increase regional autonomy) and to express serious doubts about its capacity to ensure achievement of both its “declared” and of its “real” objectives. Indeed, it is argued that, on one hand, the concern for reinforcing the national Government, entailing recentralization, prevailed over the declared concern for revitalising regional autonomy; and that, on the other hand, the reform was unsuitable to fosterrationalization and decision efficiency, which ostensibly represented the main concerns of the Government and of the parliamentary majority.